Thank you for offering help and hope to those in need. Catholic Charities serves more than 100,000 individuals and families in need each year. Your support of our mission is greatly appreciated and makes a difference to those with no where else to turn. Click DONATE for options to help support our mission or please contact us at 302-655-9624. Thank you! 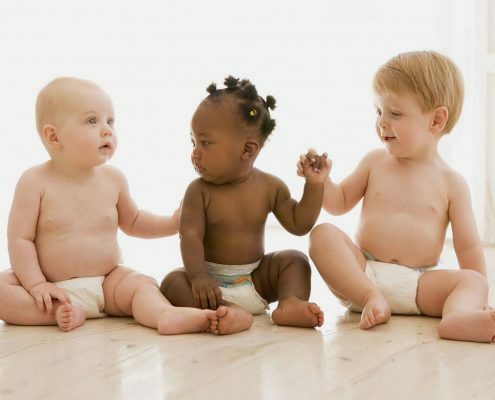 http://www.ccwilm.org/wp-content/uploads/2019/01/DiaperDrive.jpg 1201 1201 jolamptey http://ccwilm.org/wp-content/uploads/2014/06/CatholicCharities_logo-300x100.jpg jolamptey2019-01-24 18:53:252019-03-31 09:17:18Catholic Charities wants to protect the bottom line – babies’ bottoms! We’re hosting a diocese-wide diaper drive honoring mothers during the month of May and to benefit Catholic Charities Bayard House Diaper Bank. Donors can drop off diapers, hygiene items, cash and gift cards at all Catholic Charities locations Mon-Fri 9am-4pm. For more information, click here. Catholic Charities accepts donations in many forms. If you would like to schedule a pick up of a large donation such as furniture, appliances or other large items, call 302-764-2717 to schedule a pick up. For days we will most likely be in your area, click here. 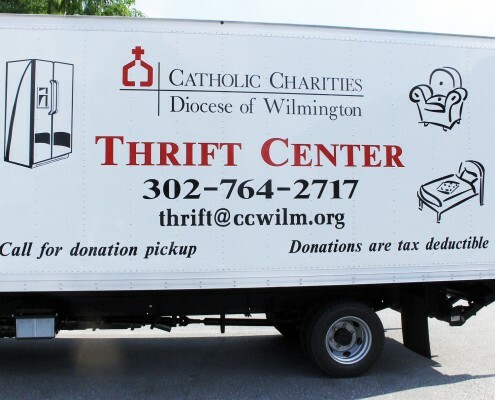 http://www.ccwilm.org/wp-content/uploads/2015/05/ThriftTruck.jpg 1500 1500 jolamptey http://ccwilm.org/wp-content/uploads/2014/06/CatholicCharities_logo-300x100.jpg jolamptey2015-05-12 20:19:592018-07-02 14:22:44Catholic Charities accepts donations in many forms. If you would like to schedule a pick up of a large donation such as furniture, appliances or other large items, call 302-764-2717 to schedule a pick up. For days we will most likely be in your area, click here. Catholic Charities accepts donations of cars, trucks, boats, RVs and motorcycles. Donors receive IRS tax receipt. Click here to donate a vehicle. http://www.ccwilm.org/wp-content/uploads/2014/08/Vehicle-Donations-36255096.jpg 565 849 jolamptey http://ccwilm.org/wp-content/uploads/2014/06/CatholicCharities_logo-300x100.jpg jolamptey2014-04-20 22:21:142016-07-11 08:57:53Catholic Charities accepts donations of cars, trucks, boats, RVs and motorcycles. Donors receive IRS tax receipt. Click here to donate a vehicle.